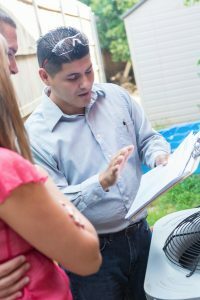 Are HVAC Maintenance Plans Really Worth It? It’s no secret people don’t do what’s good for them—and it’s no different when it comes to HVAC maintenance. A survey in 2015 found that 80% of Americans delay in scheduling preventive health care. The unfortunate fact is “preventive care” doesn’t get anyone excited like “urgent care” does. It’s the same with HVAC. Many homeowners would rather let their system break down before scheduling a maintenance check. 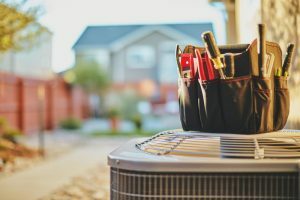 So to help fight against this part of our human nature, HVAC contractors started making maintenance plans: a bundle of incentives for getting a homeowner to schedule their maintenance. Of course, what everyone wants to know is: are maintenance plans really worth it? 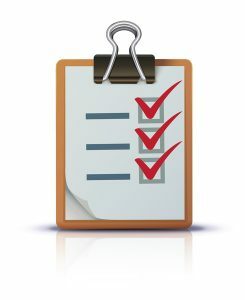 Posted in Our Maintenance Plan | Comments Off on Are HVAC Maintenance Plans Really Worth It? One of the trickiest parts about having your heater replaced is knowing exactly when you’ll need to have it replaced. Hardly anyone wants to install a new system too soon—the money could be spent elsewhere. But waiting for too long to install a new system isn’t much better. An old system will cost more to run, will experience more repair issues, and take longer to warm the home. As we advance further into the cold season, we’ll soon be turning our heaters on during the day and not just at night. Naturally, the more we use our heaters, the more wear and tear we’ll be putting them through. Paying extra close attention to them can help you find some repair problems before they arise. Also, now’s the perfect time to assess if your HVAC system is doing everything it needs to. In this post, we’ll give you some advice on how to assess your system. You discover one day that your air conditioner isn’t working. Uh oh. 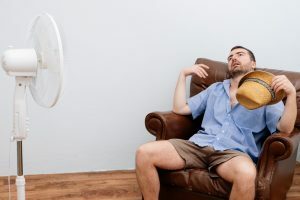 If you’ve read our blog before, you’ll know that we like to cover common AC repair issues and their causes, and you may think to first look into those issues. However, even if you diligently change your air filter, check your evaporator coils for ice, and see no indication of a refrigerant leak, you might still have an AC repair problem you can’t locate. In that case, it could be a problem that’s much harder to spot: an electrical problem. Jeff Mitchell, left, Vice President/service manager, and Zack Mitchell, President, chose the Variable Refrigerant Flow (VRF) system shown in the background for the company’s offices in Westlake, Ohio. Westland Heating & Air Conditioning is a leader in VRF technology and one of a few contractors able to offer this high-efficiency system. Service professional Sean Rusnak performs diagnostics on a VRF system. 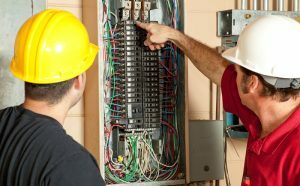 All Westland Heating & Air Conditioning technicians are trained on start-up procedures and the precise calculations required on these highly efficient systems. 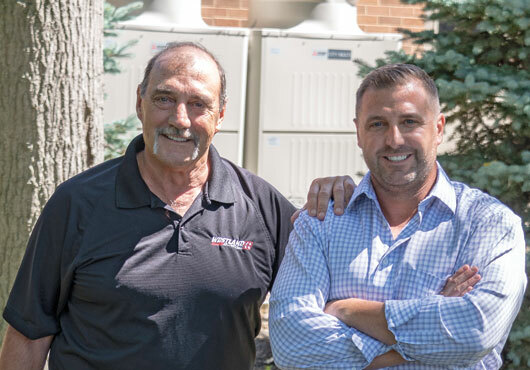 The father-and-son team of Jeff and Zack Mitchell has channeled its passion for the newest products and the best customer care to develop a family-focused atmosphere at Westland Heating & Air Conditioning (Westland). 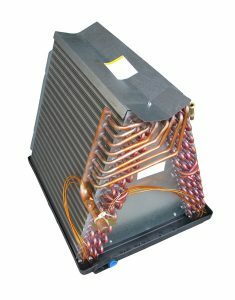 Jeff and his wife, Debra, started the company in 1984 in Westlake, Ohio, after Jeff worked for several different residential HVAC and refrigeration contractors. “We found this to be one of the most fascinating industries to be in, but not all companies in it performed well from start to finish,” Jeff says. “When we started our own business, we were determined to make it phenomenal. When Zack joined us, he had the same passion for high performance and high-quality care for customers and employees, and that helped expand our sights even more.” From the beginning Debra managed the administrative and customer service needs while Jeff serviced customers in the field. In 2009, Jeff turned over leadership to his son, Zack, who now is President; Jeff serves as Vice President and service manager. Debra is now retired and happily spending time with her grandchildren. The company takes care of customers with a combination of old-fashioned customer service and cutting-edge technology. “We’ve had a history of looking at new, innovative ideas,” Jeff says. “We evaluate new systems or processes from a performance and economic standpoint and are not afraid of bringing on new technology. The challenge is the learning curve, but the benefit for our customers is worth it. Plus, we stand behind everything we do and work with our manufacturers and customers to be sure everything is right. Sometimes it costs us money, but it’s worth the gain.” When Zack started working for the company in 1986, he was 14 and eager to learn everything. For four years, he worked part time cleaning the shop, working on inventory and stocking the trucks. He slowly transitioned into joining his dad and other techs on service calls. “I had a chance to go to college and play football, but I knew my passion was with the heating and air conditioning business, so I decided to stay with it and go through what my dad called ‘the Jeff Mitchell Technical Institute,’ ” Zack says. Early on, Westland became a leader in variable refrigerant flow (VRF). This HVAC technology uses refrigerant as both the cooling and heating medium and is conditioned by a single condensing unit. VRF gives building owners the ability to simultaneously have different rooms in a building use independent high-efficiency heating and cooling, which lends itself to both new construction and rehab, Jeff says. Last year, Westland teams participated in the Harvest for Hunger, an annual awareness campaign aimed at fighting hunger in 21 of Ohio’s counties. They have also supported the annual Marine Toys for Tots drive and recently donated labor to install a new HVAC system at a local home as part of a St. Jude Dream Home Giveaway. The equipment was donated by Trane through the company’s national program. As Zack continues to manage Westland, the company is determined to have future generations of the Mitchell family and their employees’ families be involved. “We want to move forward with the same foresight we have of taking care of our customers. We have fathers and sons working here for a long time. We wouldn’t be in the position we are today without all the hard work of our wonderful team members. There’s a great feeling of mutual respect here and I feel that’s a sign we’re doing things the right way,” Zack says. This desire to do the right thing has developed a combination of old-fashioned service and the latest technology that gives customers the best comfort and sets the standard for the next generation to follow. There’s no better time to get a tune-up than right before a new season. If you haven’t been keeping up with maintenance, we forgive you—but we don’t want your luck to run out. The fact is, many HVAC system owners are waiting until their systems break down before making a repair call. 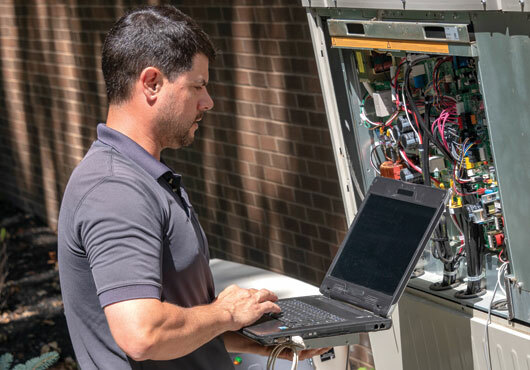 But HVAC systems don’t just break down within seconds—there’s usually a problem that has been silently degrading the system’s performance over the span of months. When the wrong part breaks or stops working, that’s when you get problems. Since most furnaces use gas or oil, neglecting maintenance can be especially costly or dangerous. 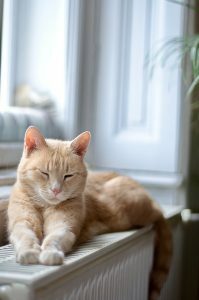 Gas furnaces need to be checked annually to prevent carbon monoxide poisoning. When dealing with gas or oil fueled heaters, age can have a larger effect on their efficiency and safety than with electric furnaces. A faulty ignition or pilot can prevent the heater from functioning efficiently or at all. Maintenance can prevent up to 80% of HVAC system problems before they happen. That leaves only a 20% chance you’ll need repairs at a time when you need it most. And if you sign up for our service agreement, that 20% will be mitigated with discounts and priority service. Don’t wait for your heater to break down this season. 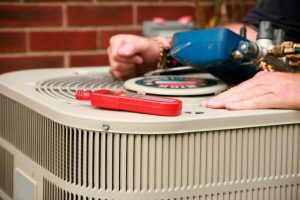 Contact Westland Heating & Air Conditioning today for a comprehensive maintenance check for your entire heating system.